This is part 6 of a story jumping activity for Digital Writing Month. Bruno started it, followed by Kevin, Maha, Sarah and Ron Sign up in the Google Doc if you’d like to join in. Kevin plopped onto his bed, exhausted. What a night. What the hell had happened? How did things get so out of hand? He never knew Sandy had one machine gun, let alone two. And, to take them to the pub with her? And fire them? What was she thinking?! The whole incident really got him wondering whether he knew her at all, and whether they had a future together. And how Sarah got involved in that fight, he wasn’t sure. At least he’d managed to fix her uke – that was about the only thing that had gone right that night. Meanwhile, that odd woman across the road was watching his house again. It no longer freaked him out, but he did often wonder why she was so interested in the house. Maybe she wanted to buy it. 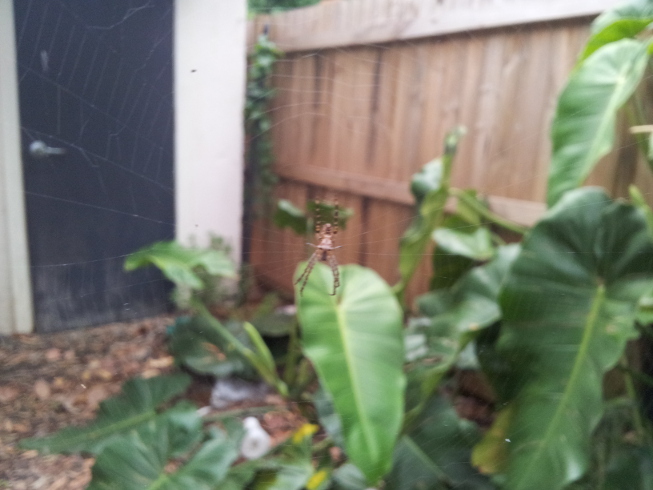 After a while, things started to get blurry, and all of a sudden the words seemed to dissolve into a garden and he found himself face to face with a spider. He looked around, confused. Where was he? And was that a door? What happened to his bed? He had no idea where he was, but he decided to investigate what was behind his door…it occurred to him that perhaps this was all just a strange dream and he would wake up and find himself back home, in his room if he walked through that door. No swimming? Where was the water? 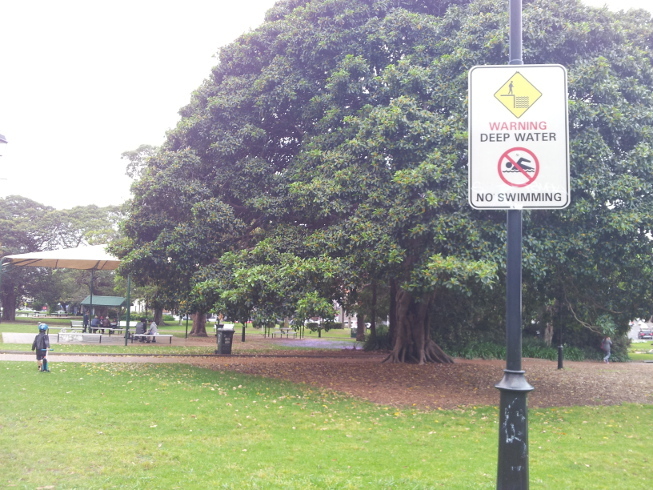 Curious, he walked past the sign, towards the large trees, looking for the body of water the sign was referring to. But instead of water, there was a clearing. And to his surprise there was a giant chessboard, with a mysterious, small hooded boy considering his next move. He tried to get the small boy’s attention to ask where the water way, but the boy only seemed to speak French. Kevin kept walking. 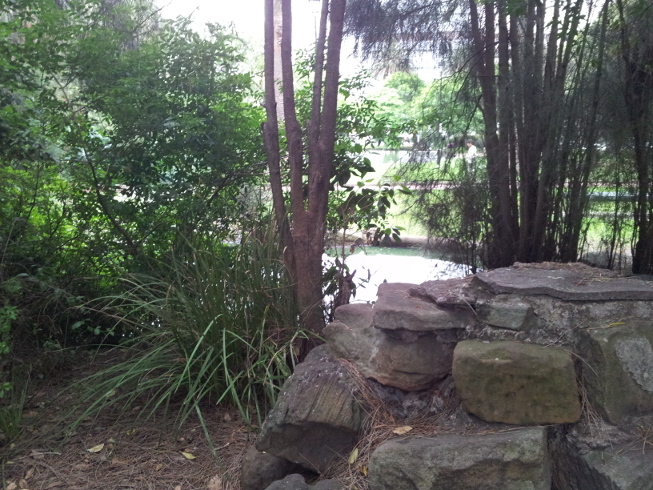 As he walked through a small forest, and past a strange cluster of large rocks, he finally saw a lake. He could see an amazing glowing island full of flowers in the middle. He somehow knew he had to get there. But the water was murky and he remembered the sign warning of no swimming. He looked around – and saw there was a rowboat behind some bushes. He grabbed it and jumped in, rowing quickly toward the island. He didn’t know why but he had a gut feeling it was important he get there. As he approached, the words Blossom Island kept playing over and over in his head. He knew this was the name of the island. 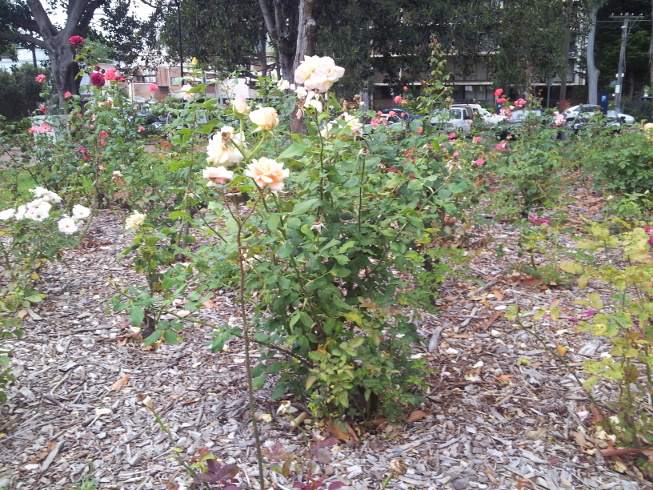 On the island were hundreds of beautiful red and white rose bushes. After walking through blossom island for a few minutes he came across an arch with beautiful flowers all around it. Walking through it,, enchanted, he notices in amongst the flowers, lots of yummy looking cookies. Kevin suddenly realises how hungry he is – he’d done so much walking and couldn’t remember the last time he’d eaten. He grabbed a cookie greedily. But just as he was about to bite into it, he paused. Sudden flashbacks of childhood fairy tales played in his mind: Hansel and Gretel, and the candy covered cottage; Alice in Wonderland and the ‘Eat Me’ cake. The flashbacks were surely a warning. Who put these cookies here? What was in them? Why were they here? And…where WAS HE? The sound of his rumbling stomach interrupted his thoughts. In that instant, he threw caution to the wind, and took a huge bite. Very well done Tanya, lots of poetry on this part. I’m sure Kevin feels way better. PS: How did you about the giant chess play? I spent days on that game. hey Bruno – haha yes. It was a lot of fun. Yes, I definitely wasn’t going to kill off Kevin quite yet!! The timing worked out well in the end actually, as I had a day off work yesterday and was out with my son, so took the opportunity to make up elements of the story and take pictures for it at the park we were exploring. Isn’t that weird about the chess?! 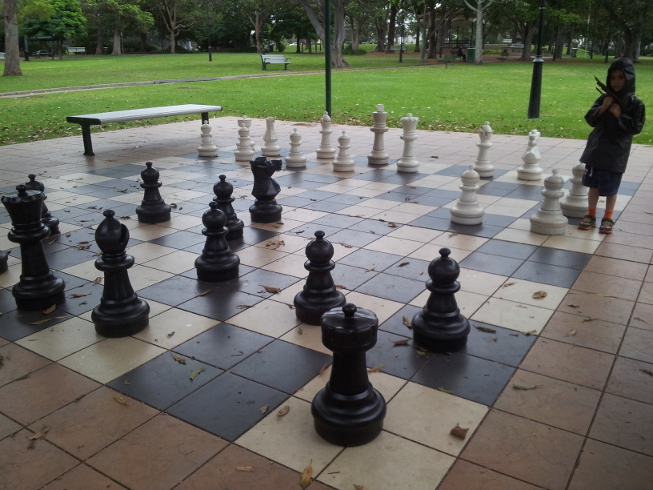 We played a game (or rather I attempted to play a game with him very badly….I am not the chess player of the family! )…and I somehow knew it was meant to go in the story….! Love both the use of image and ideas from your child …. I love the combination with the photos. Can’t wait to read what will happen to Kevin after taking a bite of that cookie!!!! Nice use of mixed media . . . it adds to the story.